At some point of time, all of us have suffered from the problem of acne. Acne is more common in people in teenage age group and their early twenties. However, there is no age restriction as such and you can even find older adults suffering from this problem. In general terms, Acne is a condition of skin which manifests itself chiefly in the facial region. Other commonly affected regions are the upper chest and back area and also the upper arms. Cystic acne initially starts as simple acne, which basically occurs when the pores in the skin become clogged due to accumulation of excessive sebum or dead skin or impurities & pollutants from the environment. When, the skin pores get obliterated or plugged& there is no active medical intervention. These clogged pores are known as black heads and white heads depending upon their colour. Once, Blackheads and whiteheads form, there is an increased tendency towards them getting infected with bacteria, that normally reside your skin. The bacteria most commonly associated with acne in general and cystic acne in particular is an anaerobic bacterium called, Propionibacterium acnes. Sometimes, this bacteria gets pushed into deeper and wider areas of skin by harsh scrubbing action or an attempt to squeeze the pimples leading to a very severe form of acne known as cystic acne that appear as deep, Red, elevated and often widespread, pus laden eruption on skin. Pain often accompanies cystic acne. More often than not, the development of cystic acne can be related to hormonal changes in body during puberty, menstrual cycle, pregnancy and intake of oral contraceptives. In puberty, the hormonal fluctuations, an increase in androgen hormones, that cause the pilo-sebaceous units to secrete more sebum leading to oily skin and in turn, clogging of pores. Genetics are also to be blamed for a tendency towards development of cystic acne. Certain medications like: corticosteroids, lithium, phenytoin (anti epilepsy), isoniazid (anti tuberculosis) etc also lead to development of cystic acne as a common side effect to their intake. Use of expired beauty products or not caring about the skin type mentioned on the products and use of greasy cosmetics that clog the pores might contribute towards development of cystic acne, too. Last but not the least; polluted environments and hot and humid weather are to be blamed, equally. Peppermint oil can be used to treat acne superficially. It acts on acne by acting as a natural cleansing agent. By clearing out the impurities from clogged pores, it helps in shrinking the size of acne. This oil has anti bacteria properties too, that works to reduce the bacterial counts and proliferation in pores so that, your acne to not get inflamed. This also helps in reducing inflammation and soothing the associated itchiness and irritation. A word of caution though, use only highly purified peppermint oil over acne and avoid those that are fragrance. It has to be mixed with some carrier oil and not to be used in concentrated form. Also, do a patch test first to ensure that you are not allergic to it. 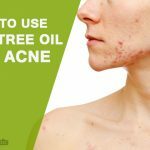 Tea tree oil is one essential oil that is used very extensively to treat acne, in diluted forms. Tea tree oil contains a certain component called as trepin-4-ol that is a potent antibacterial, anti fungal as well as anti septic properties. It can seep in deep into your skin’s pores to unclog & dry out the size of your pimples. It also reduces the overall sebum production of your skin. You can use tea tree oil by adding 3 to 4 drops of tea tree oil to 3 tablespoons of aloe Vera gel, freshly squeezed from a plant. You can also mix it with jojoba oil, organic honey and curd. Take 2 tablets of uncoated aspirin which contains salicylic acid. Crush them into a fine powder. Add some drops of water to make a thick paste. Next, add 1 tablespoon of organic honey and aloe vera. Leave it on as a face pack over the affected area and leave it on for fifteen minutes. Wash well to rinse off the face pack. Clove oil is another essential oil that can be used in treatment of acne. It has natural anti septic, anti bacterial and anti-inflammatory properties. This helps to prevent and reduce acne, safely. The Clove oil contains the goodness of manganese, calcium, potassium and magnesium. You can use it by adding 2 to 3 drops of pure clove oil in your daily use cream or lotion. Do not use it directly in concentrated form, as a spot treatment for acne as it can irritate the skin, badly. Grate some cucumber and add 2 tablespoons of organic honey to it and mix really well. The paste should be smooth. Add rose water to it and your face pack is ready. Spread the pack evenly on skin and let it dry. Wash off. You need to get a few of fresh mint leaves and add some honey to it and then use a grinder to form a smooth paste. Apply over the area affected by acne and let it stay for 30 minutes or so. Multani mitti or fuller’s earth has been used in treatment of acne since ages. It’s property of absorbing excess oils and presence of minerals like magnesium chloride work together to help treating acne. You can prepare a paste by mixing a tablespoon of lemon juice (the citric acid in lemon helps to reduce oil secretion) and rose water. Spread this evenly on face and lt it dry completely. Wash off with plain water. You must clean your face using a medicated cleanser like Clearasil, cetaphil or fash twice a day after consulting your dermatologist. Do not wash your face more than twice a day as it would dry out the skin and in turn, make the sebaceous gland more active leading to production of more oil. Use lukewarm water or saline to sanitize your face. Follow with a toner and use a light textured face lotion. Avoid scrubbing more than twice in a week and have lots of fresh fruits, veggies and lots of fluids. 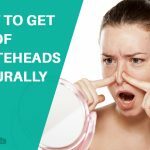 How to Get Rid of Whiteheads Naturally at Home? 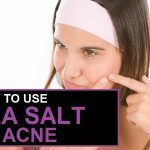 How Effective Is Aspirin for Acne? Cystic acne initially starts as simple acne, which basically occurs when the pores in the skin become clogged due to accumulation of excessive sebum or dead skin or impurities & pollutants from the environment.